Okay First – Semantics Really Quick! 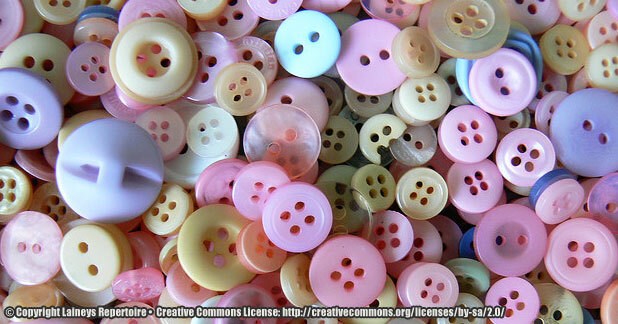 What’s so great about buttons? Why a button and not a link? So how do we use the button? Conclusion – Buttons are going to change your life! I feel so fancy whenever I use this word. Anyway, the gist of semantics are just writing code that stay true to their original purpose. In other words, in HTML5, would you use the <header> element for the footer? Probably not since the element itself makes it obvious what it should be used for – a footer. The same applies to all HTML. There are a lot of elements that have specific uses and therefore shouldn’t be used for just anything. List items should be used for lists, ‘a’ tags for links, paragraph tags for, yep you got it – paragraphs. Of course sometimes it gets confusing – hence why we’re having the button and link discussion now ( imagining that this post is a discussion between you and I ). Semantics are really important for accessibility because the more you write code the way it was originally intended, the more likely that your code is already accessible out of the box. A good place I like to go to and confirm an element’s original purpose is Mozilla Developer Network. Here’s an example from MDN on the <header> element we mentioned. Buttons also have properties and methods that assistive technologies use to relay information to the user through an accessibility API. Using a button means that you can take advantage as a developer of existing properties and methods versus imitating them due to using something else, like a div. This is getting into a more advanced realm for me, but Karl Groves explains more in, “Name, State, Role, and Value: What’s it all about?“. Buttons pretty much have all you need for accessibility from the start. Well the first reason is that word I mentioned earlier. Semantics. Depending on what you’re creating via code, it will change whether you use a button or a link. If it navigates, it is a link. Use link markup with a valid hypertext reference. If it triggers an action, it is a button. Use a BUTTON element. I simplified it like this. If it goes to another page inside or outside the website, then it’s a link. Anything else, it’s most likely going to be a button. Buttons are for actions. Links are for destinations. Buttons are “Make this happen” and links are “Go to this url”. Buttons are for triggering modals, revealing hidden content, moving slides within a carousel and so on. Another way to think about it is, if there is no href value, if there is no url that tells it where to go, it’s a button. The only exception to links that don’t have a full url in the href are anchor links. These are links that jump the user to specific places on the same page or another page. However, to keep these accessible, the wording should help users. The 15 Golden Rules For Developers have a nice tip about using “In this page, or “Jump down to” in the link text. You can also make use of the screen-reader-text class we went over in Accessible Links by the Handbook. This way we can be sure our users know the where the anchors are taking them even with a visual or other physical disability. Name Similar to a person’s unique name, what is the name of this thing? State What is this thing doing? Implicitly, what else can it do? Role What type of object is this thing? I like to remove the background color for things like a navigation so the buttons will behave visually similar with links. I also like to remove any browser set appearances, borders, and padding. If you’re using an auto-prefixer or setting some more global based styles, the above example can be edited to suit your needs. Making buttons a regular appearance in my code and a habit during my development process took some adjusting at first. Buttons for actions and links for destinations. Now that I have made it a habit, it’s made the most immediate difference in how accessible my code is. However, although I have a solid understanding between whether to use a button or a link, I admit there are still some areas I need to learn more about. A part of me waited to publish this until I could find the answer. Then I decided to publish anyway in the hopes of learning the answer from one of my readers instead. Do we still need to fill in the name attribute of a button if it’s not in a form? Or can name attributes be added to buttons so long as they connect to JS making use of it? As I mentioned earlier as well, do we need to use the role attribute set to a button on an element that’s already clearly a button? Looking forward to any incoming knowledge. In the meantime, happy button using! * Some Updates since this was last published! Some time has passed since this post was last published, and as I am continuously learning about accessibility, I’ve adjusted my button practices. I have settled on avoiding the use of a button role when on a button element due to redundancy, and instead, will start adding type=”button” to them instead. This rule applies to action buttons that do not trigger a submit in a form. Adding this type to buttons is a recent change of a11y WP guidelines. The reason being is that some browsers/technologies will assume automatically that a button’s default action is to submit. So defining the type as “button” instead will ensure that doesn’t happen. No worries – I saw the html in the email alert I received. From what I know so far, you’re right. The role “button” is reserved for “fake” buttons that aren’t using the button element instead. So it’s to help the technology know something should be treated as a button even if it isn’t. It seems the general consensus though is to just stick with the button element unless one really doesn’t have a choice and can use the role to help them along. 1) You can omit the role=”button” attribute on the button element. You don’t gain any extra value by having it there. 2) The HTML5 spec states that the name attribute is optional. If you do provide it, it must have a non-blank value. And thanks for the answers. I’ve seen button elements still using the role so I guess that’s where I got confused. But if I can still use the element without the role so long as it’s a real button, then it makes sense to me and that’s the path I’ll stay on.